I believe, every Filipino has tasted Pan De Sal at least once in their lives. It's the most versatile bread I've known, pair it with coffee, tea, hot chocolate, juice, soft drinks, egg, sausage, hotdog, longganisa, peanut butter, margarine, cheese, actually with anything edible, the combination is unimaginably endless! For me, it is the most accessible bread to all. You could get it from "Manong PotPot" (street vendor on bikes), from the neighborhood bakery or best, from Pan De Manila! 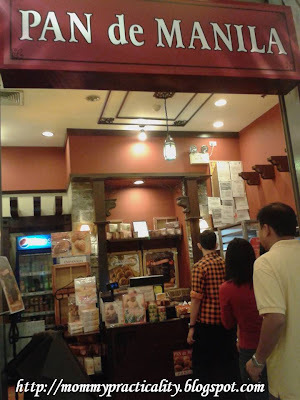 My love story with Pan De Manila started way back in 2002, Nagtahan branch to be exact. The attraction at first was all physical, seeing pan de sal baked the using the old-style clay-brick ovens. But now, as I get to know Pan De Manila more, my love developed deeper. Among all the hot chocolates I've encountered in my life, this is on the top of my list. Not to mention, compared to Starbuck's, Seattle's Best, McDonald's, Jollibee's or Tsoko.Nut's hot chocolate, this is the MOST AFFORDABLE only at P16.00 per sachet. The taste is a mix between the sweetness of McDonald's and the bitterness of tablea cocoa. It's best served in the morning or during the afternoon merienda. Banana is one of my favorite fruits. For this, it was easy for me to learn to eat banana cake when I was a kid. I favor those that are moist and not too sweet. Pan de Manila's Banana Mon is a fusion of the moistness of a Banana Cake and the fluffyness of Mamon. For me, it's the PERFECT combination, moist and texture, playing and melting in your mouth as you take one bite after the other. Best served when warm. A winner at only P26.00 each. Though I've completely fallen in love with Pan de Manila, I can share it with you. There are a lot of other reasons to love Pan de Manila, discover yours soon! 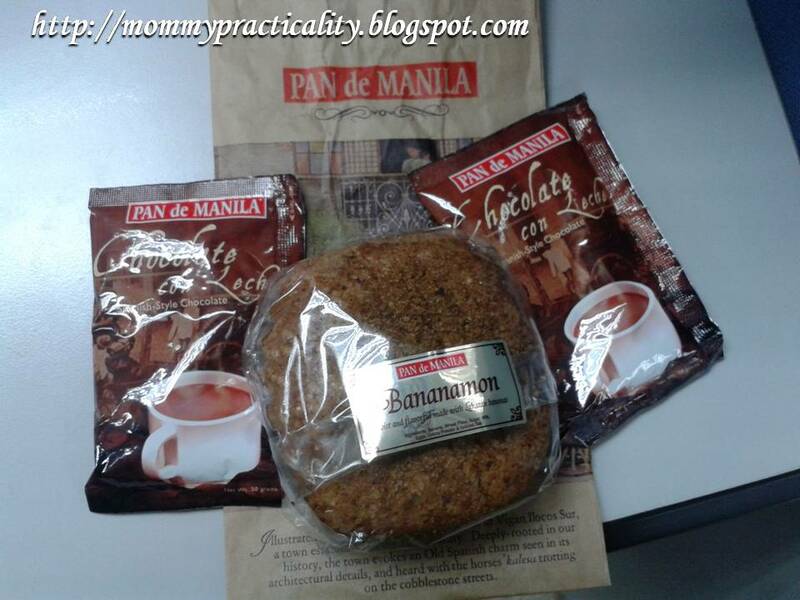 If you love Pan de Manila as much as I do, could you share what you love about it? We do not have Pan de Manila in my city. I will surely look for this bakery when I am in Manila. I love breads - and I will look forward to having this if I am ever in Manila! Mararap siya pag-warm paired with Chocolate con Leche! :) Nice seeing you again! good to know that you love eating pandesal... i wish you can have a taste of ours too. We have a bakeshop. The pandesal that get to be so hard when cooled, stayed in the oven for a long time (it's toasted). Hi Jennifer. Chocolate con Leche is by far my most favorite hot chocolate drink in the affordable category! You really should try it too! :) Thanks for dropping by! thanks for the sharing.. I wish I can try it myself one of this day..I am far from Manila kasi.. I've tried it once but am not really a fan of it. I love Pan de Manila, even my dad. He doesn't mind walking the extra miles just to get his daily servings. I also love their pandesal for the same reasons as yours. Unfortunately, there is no Pan De Manila near our place today unlike when we were in Quezon City where it was only a walking distance. i miss eating pandesal. was planning to make one over the weekend. pan de manila's pandesal is good. i agree it stays soft even the following day. Definitely, Pan de Manila's pandesal is the best! Give me a couple of pan de sals and a jar of Spanish sardines and I'll be in breakfast heaven. :D I've never tried their chocolate con leche though. I'll make sure to grab some this weekend. I love Pan De Sal. 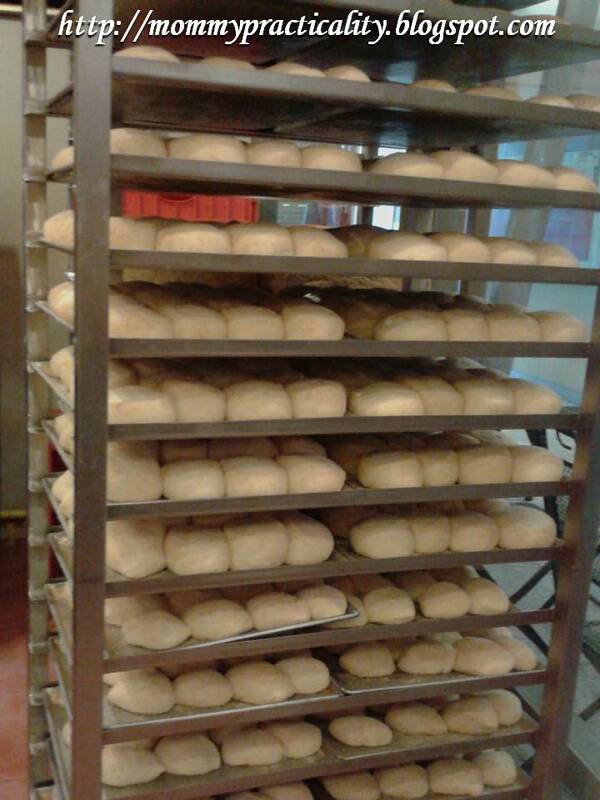 Pan De Manila do produce one of the best of it. Hi Ron, I agree! Thanks for visiting! Hello Louise ! I forgot to tell, you I can gobble 10 pandesals during my skinny grade school years. Now, I can only finish 5 pandesals , but that might change once I try the pansedals of Pan De Manila. Btw, I just nominated you for the Liebster Award, Go visit my blog and you will know why. Hi Marie! HOT yes, I love HOT pan de sal! I love Pan de Manila too nung nasa Pinas pa ako.. super lapit ito sa proj.4 where I worked. I really miss na nito...mabango at may laman compared to ordinary pandesal. I love pandesal! It's a staple food for breakfast of most FIlipino homes, I believe. I agree that it is very versatile. I can even just dunk it in coffee and enjoy. Nawala ang pandesal...este ang comment. It probably landed on your spam folder because of the link I left there. Do check it out...you have an award :-) I like hot pandesal with plain butter or peanut butter...yum! Oh and yes, tuna plain or with mayonnaise. The best! Oh, that's a little sad dear Lady. There's something about living in a residential village/barangay that you don't get to really enjoy when you're living in high-rise buildings no? Kakatakot nga naman if you cross EDSA pa, kahit footbridge just to buy them. I know diba? add to it kwek-kwek, isaw, barbeque, bananaque! hihihihihi! nagugutom na naman tuloy ako!